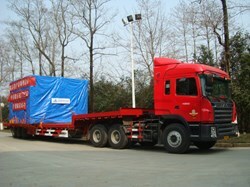 An important milestone in the procurement of toroidal field conductor for ITER was recently achieved in China. 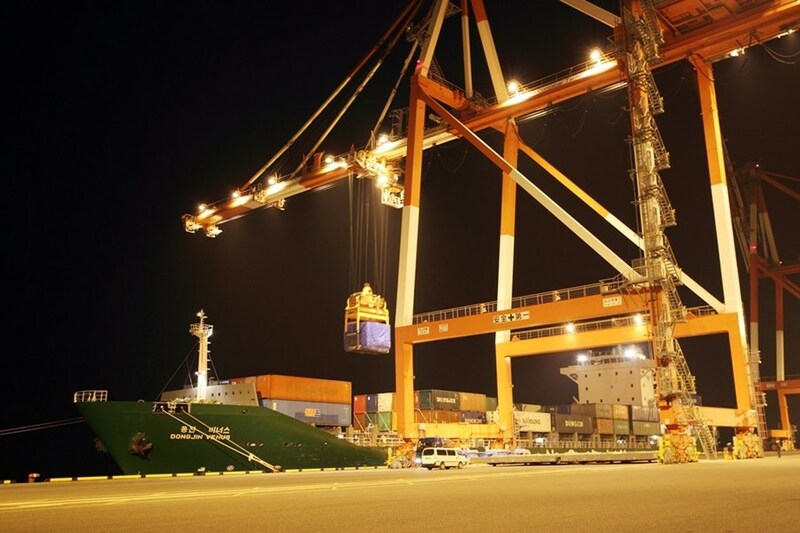 On 26 February, 660 metres of completed toroidal field dummy conductor was lifted onto a truck in Hefei and taken to the port in Shanghai. From there it took to sea in the direction of Japan. The event was symbolic in two ways: this was the first ITER component completed in China, and—for the ITER Project—it was the first shipment of completed component between ITER Members. 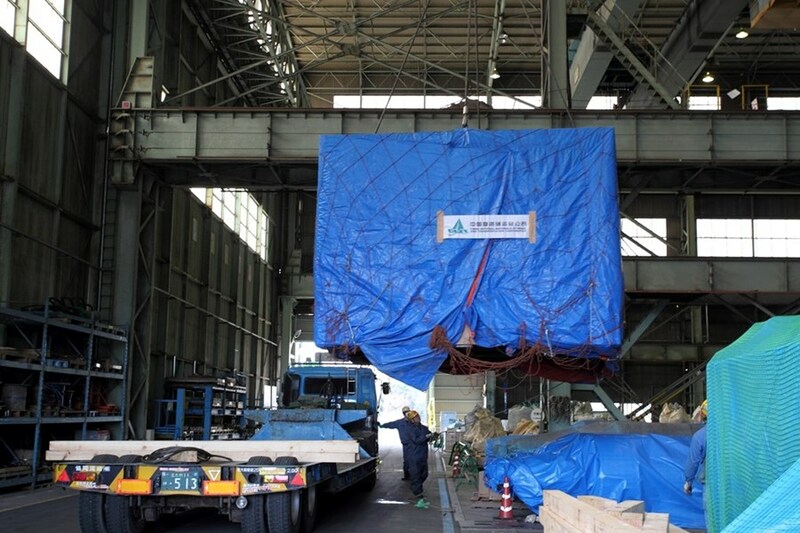 On 10 March, the packaged toroidal field dummy conductor arrived in Fukuoka, Japan where it will be stored at the Wakamatsu site until further processing. Mr. Luo Delong, Deputy Director-General of the Chinese Domestic Agency, commented: "This milestone is a major step for the ITER project. 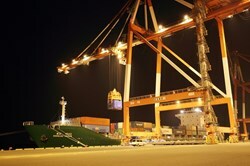 It is a symbol of the commitment of China turned reality. 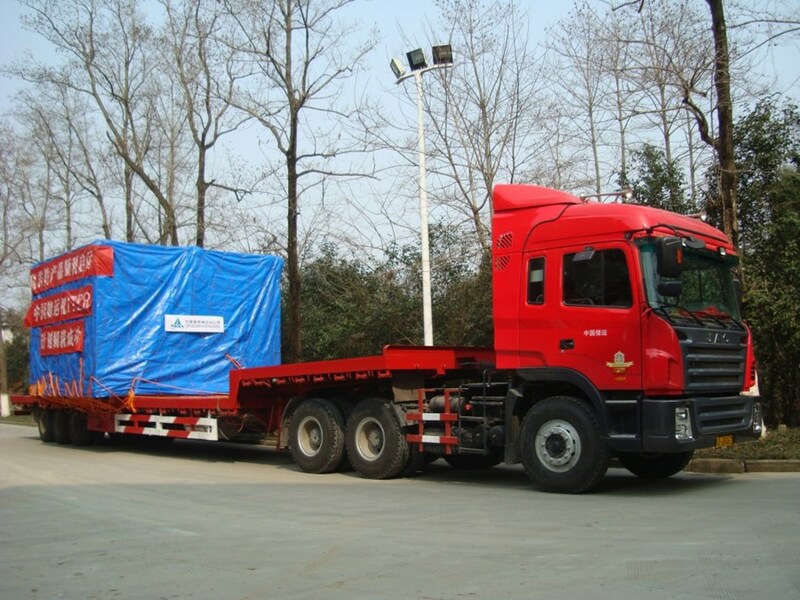 Our goal is that all procurement items from China be supplied in accordance with the ITER schedule and with ITER quality requirements." ...and is stored in the Wakamatsu site in Fukuoaka until further processing. Both photos courtesy of Ueno Kenichi. The successful transfer of toroidal field dummy conductor was the result of the combined efforts of many, including research done at ASIPP well in advance of production, and cooperation with the ITER Organization, the Japanese Domestic Agency and the Japan Atomic Energy Agency (JAEA).